After Captain Cold’s sister tells the team that he has been kidnapped, Barry discovers that their ruthless father is forcing Leonard to help him pull off a heist. Meanwhile Joe wrestles with telling Iris the truth about her mother, and Jay asks for Caitlin’s help in stabilizing the dimensional breach inside S.T.A.R. Labs. When Barry (Grant Gustin) and the team find out Captain Cold (guest star Wentworth Miller) has been kidnapped, they form an uneasy alliance with his sister, Lisa (guest star Peyton List). 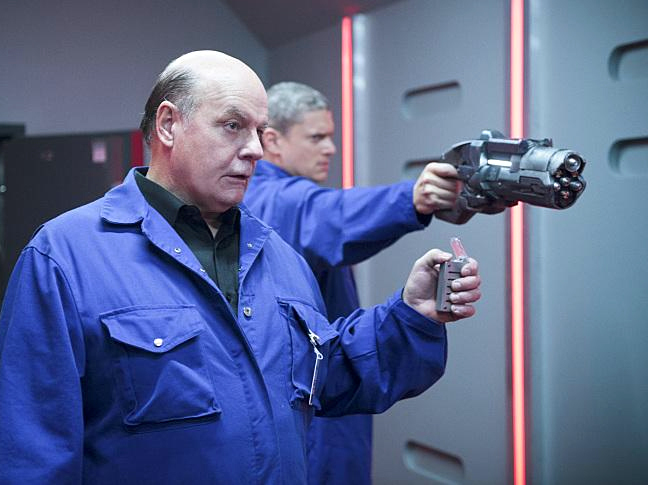 However, Barry feels double-crossed when he finds out Snart is working with his father, Lewis Snart (guest star Michael Ironside) on a heist. Meanwhile, Joe (Jesse L. Martin) is faced with a difficult decision. John Showalter directed the episode written by Julian Meiojas & Katherine Walczak (#203).